If you are or once were an owner of a "truck bed only" ladder rack, then you know it can be nearly impossible to mount them with really long objects. No longer do you have to live this way! What if I were to tell you that Cross Tread has designed an "over the cab" truck rack, giving you the ability to haul those longer objects that have been menacing you for years?! You probably wouldn't believe me! But people I'm here to say they have! Take a look at the Cross Tread Renegade XT. The Cross Tread Renegade XT is made with an over the truck cab design. It is made out of heavy-duty 14 gauge steel tubing and is finished with a thick layer of powder coat. The completely adjustable design is made possible by the ingeniously placed bolts and telescoping poles. Having these great features, the Renegade XT truck racks fit most mini and full sized trucks out there. Weight capacity seems to be a much talked about rack feature and we think you will be pleased about the high weight capacity that the Renegade XT is rated for. These bad boy truck racks can withstand weights of up to 1,000 lbs. exceeding all your expectations. They are also featuring quick release locking pins for rear bar removal, three cross rails and the steel diamond plate ends finish this superb rack off. 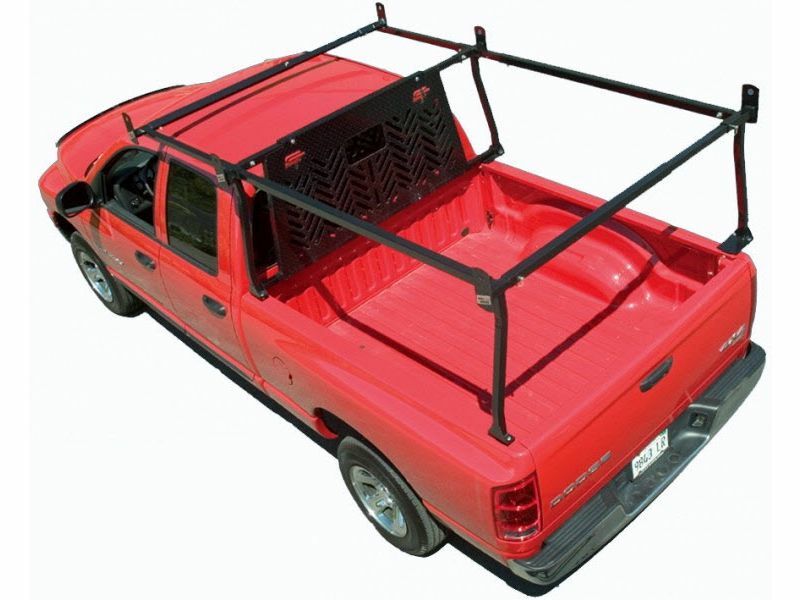 The included camper shell mounting brackets will allow you to mount this rack over tonneau covers and toppers. Optional headache rack(sold separately) is available to add to the RT Rack. This rack is simply amazing! It has a design that gives it a rugged appearance and mounts over the cab, giving you the ability to mount that long and pesky cargo. Made by Cross Tread. During the period of time commencing from the original date of purchase and subject to the conditions set forth, Cross Tread Industries, Inc. will repair or replace to the original consumer any material and/or workmanship of Cross Tread Industries, Inc. At all times, Cross Tread Industries, Inc. shall have and possess the sole right and option to determine whether to repair or replace the defective parts and components. The Cross Tread Renegade XT truck racks offer an easy installation process. No need to take into a shop! Call 877-216-5446 with questions.